I was a painting major when I came to Union and I thought that was what I wanted to do, but then I got to watch a potter that the ceramics department brought in for a two-day demonstration, and after watching him for two days, I decided that was a class I’d be interested in taking. After the first class, I decided it would be a good medium for me. In my senior show, I talked about how my family very much revolves around hospitality and having big dinners with family and everything, and so it was cool to be able to make the things around which those dinners happen. I decided that was a medium that really connects. What is unique about your pottery? I like to keep my forms simple and recognizable, so you’re not weirded out by anything, but allowing the fact that it was made out of clay, which was once soft and malleable, to show. So keeping it organic. . . . It’s a balance of wanting to make something that’s so very useful, and so, even if you’re not used to using handmade things, it works as well as the one you bought from Walmart, but you can also tell someone has touched it and shaped it and made it. Why did you decide to get involved in CO.STARTERS? I have a good friend who took it our senior year, I think. And ever since then it’s been kind of in the back of my mind as, “This would be good for me.” I’m a very weak on the business side. . . . When it goes to pricing, selling, and even making a business plan, that was entirely off my radar. So, finally, I think last year, I quit my second job and tried to make ceramics a bigger chunk of my life work. I launched a website and started pushing toward that. So, after almost a year of that, I decided it was time to take this class. Because I was doing it on my own and I needed someone to help me go farther. What’s been your biggest takeaway from CO.STARTERS so far? There was one session that we had about marketing, and just the idea of figuring out who is the person who is actually going to enjoy and love and buy my work. . . . That was really eye-opening to me. What do you like about CO.STARTERS? I like to be in there with a diverse group of people with different ideas, because as this person is talking about their idea of “I could promote my business this way” or “I could start my business on this kind of track to eventually get my business where I want it to go,” I can try to match it, like I could do something similar for my business. You’re hearing all this back-and-forth, and it gives you so many more ideas than you would have ever come up with on your own. And it’s a big class. You get a lot of information, but it’s really relaxed. What would you say to someone if you were trying to convince them to give CO.STARTERS a try? I have a lot of friends who are in the same place as I have been, just starting their business and not really knowing where to go from there. I tell them it’s answered some of my questions, like “What are my tax responsibilities?” and “How do you devise a good business plan?” and marketing ideas. It does a really good job of touching on everything maybe you know you should kind of be thinking about but don’t even know you should be thinking about. 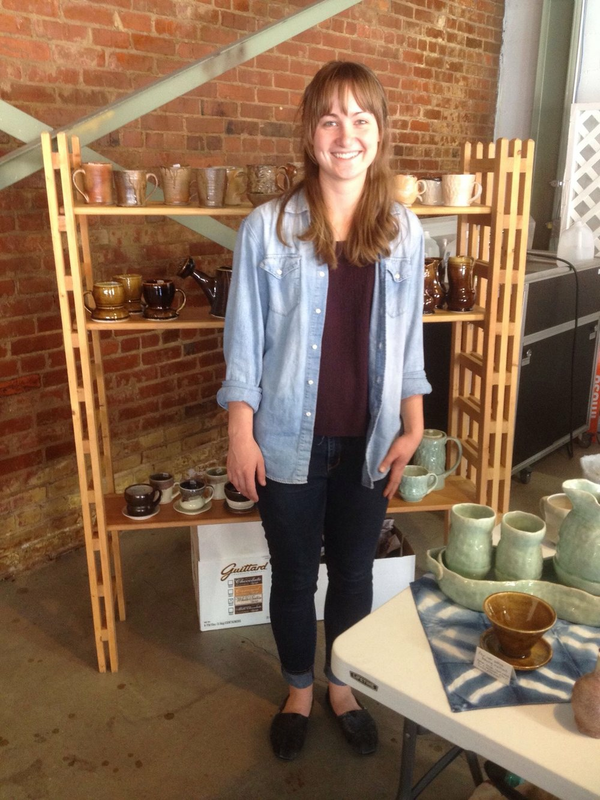 Follow Megan Peden Pottery on Facebook or visit her website to view her gallery and order!